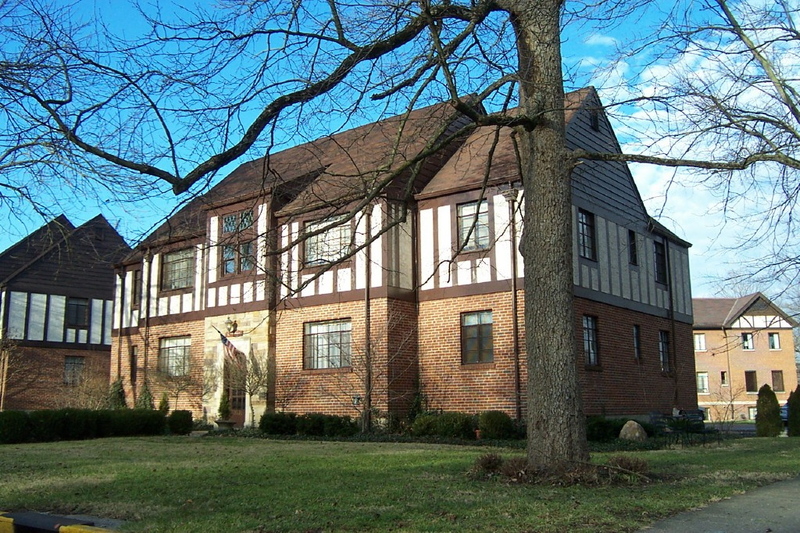 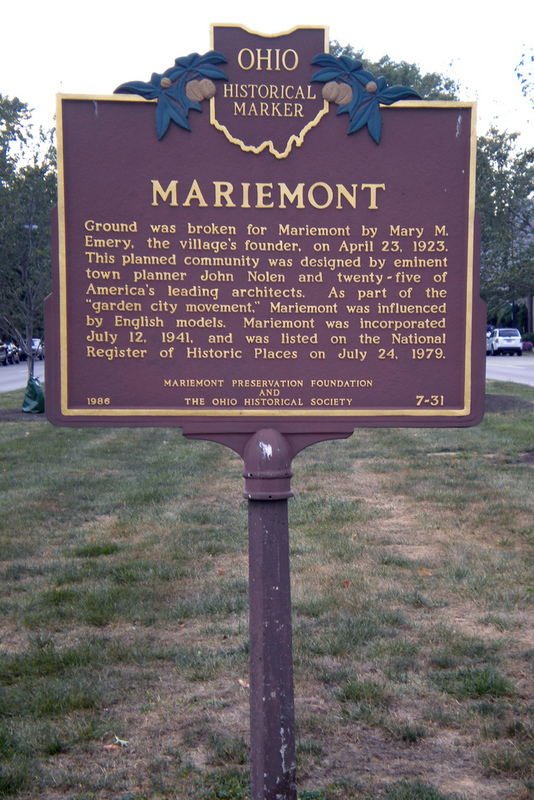 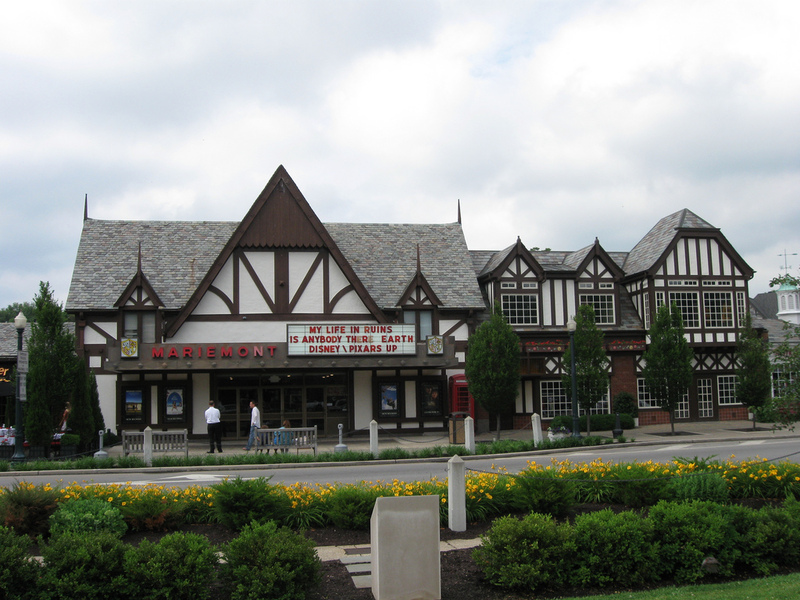 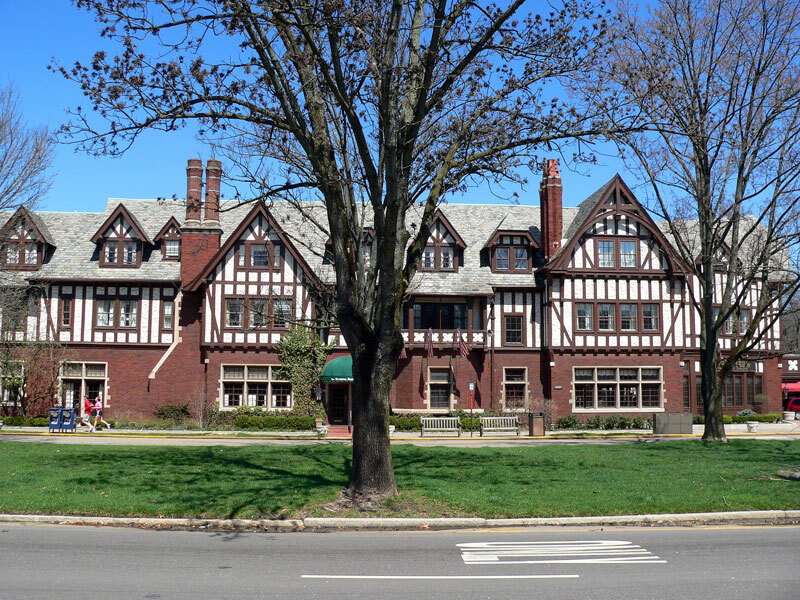 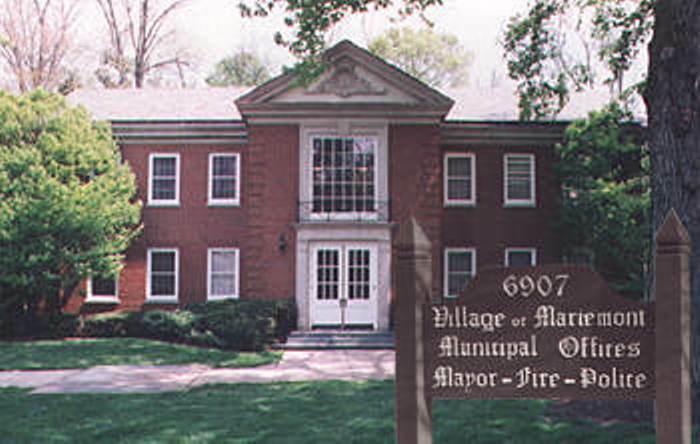 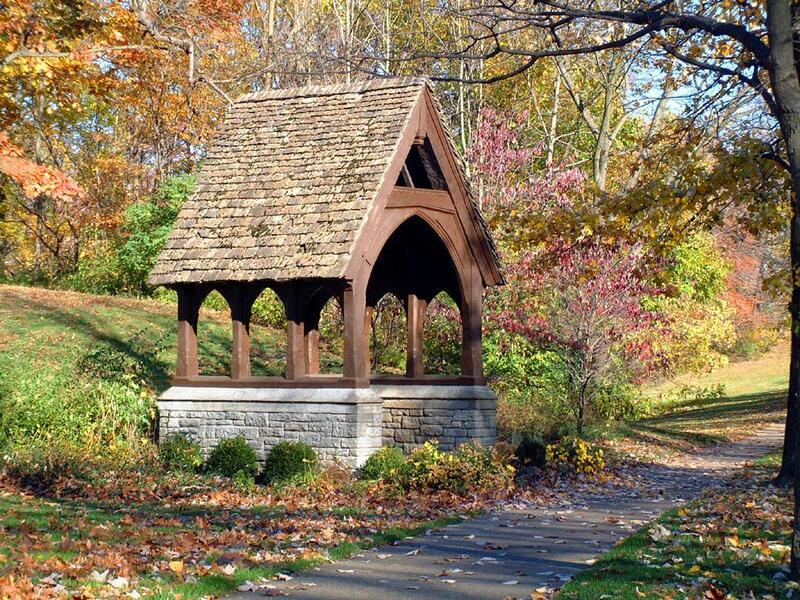 The Village of Mariemont is a suburb of Cincinnati developed in the early 1920’s by Mary Emery as a gift to the people of Cincinnati. 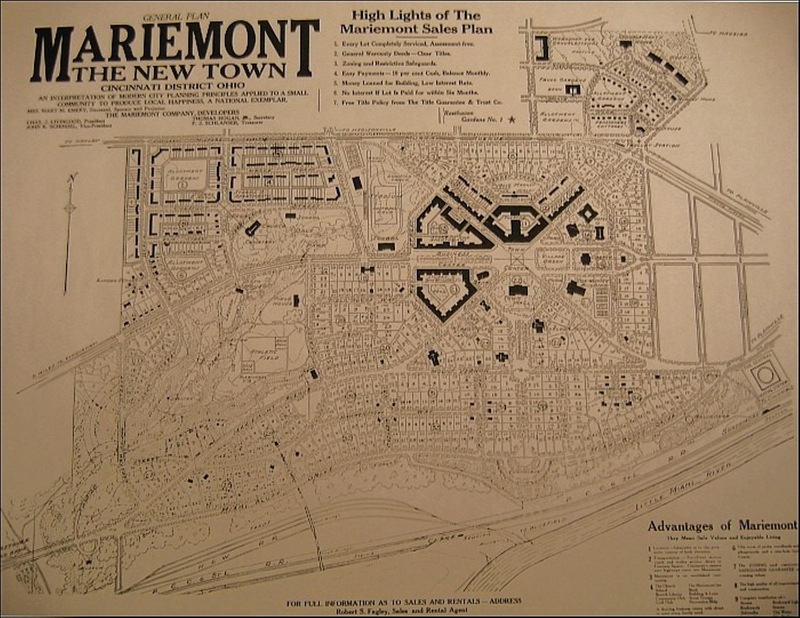 Designed by John Nolen, the father or innovator of modern urban planning, it is considered a National Exemplar of good urban design and planning principles. 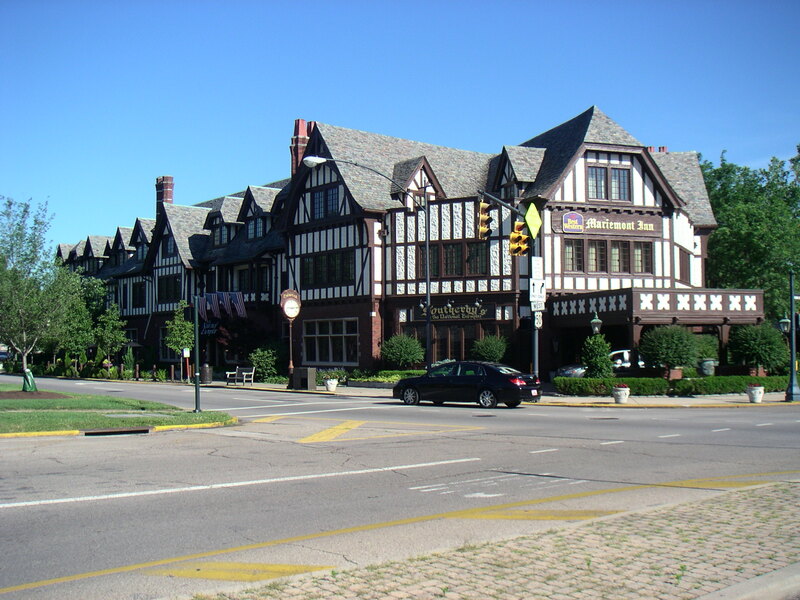 It was designed to be a mass-transited oriented suburb since the streetcar to downtown Cincinnati ran only two short blocks from the original town center. 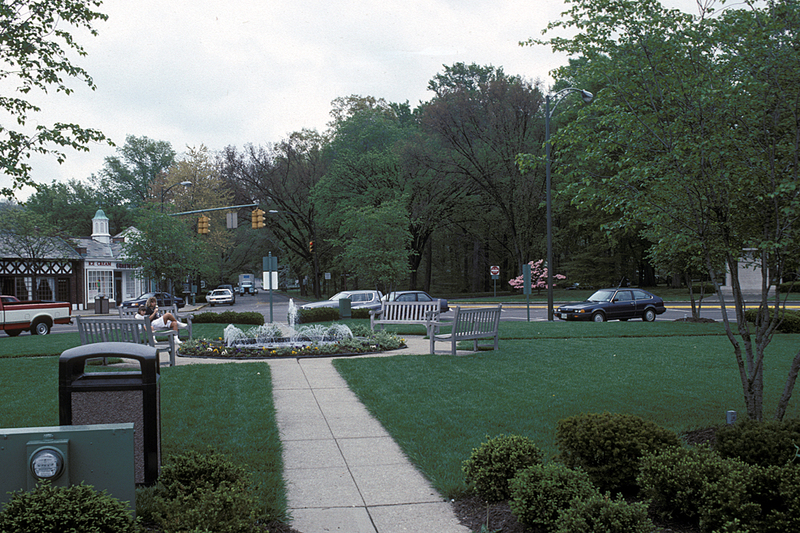 For the same reason, Mariemont was designed to encourage walking. 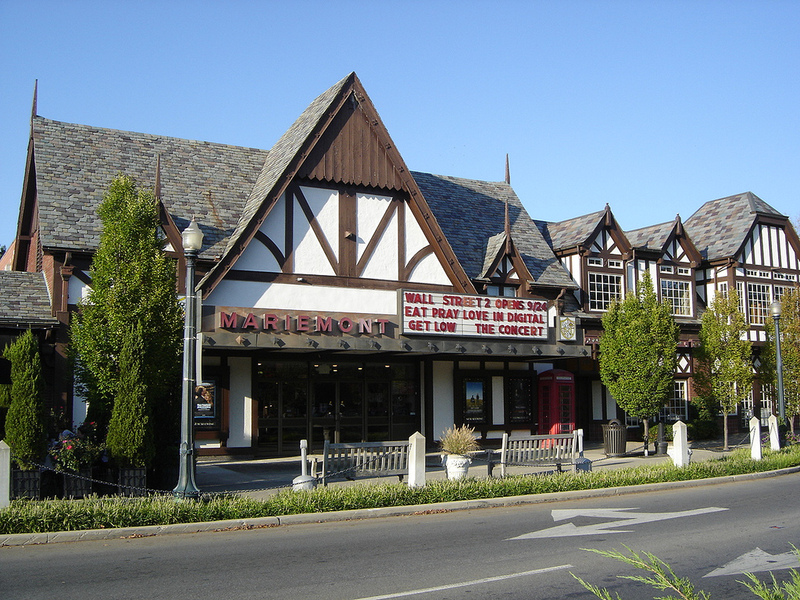 This is in contrast with more modern suburbs which have become dominated by the automobile. 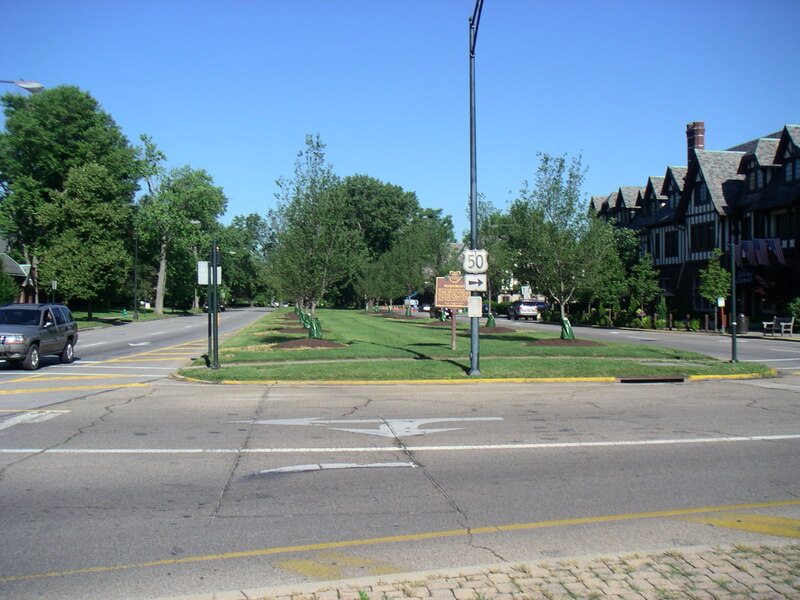 Ironically, the urban planning and design principles of John Nolen are only now being re-discovered and again implemented in new suburban developments referred to as “new urbanism” or “smart growth” projects. 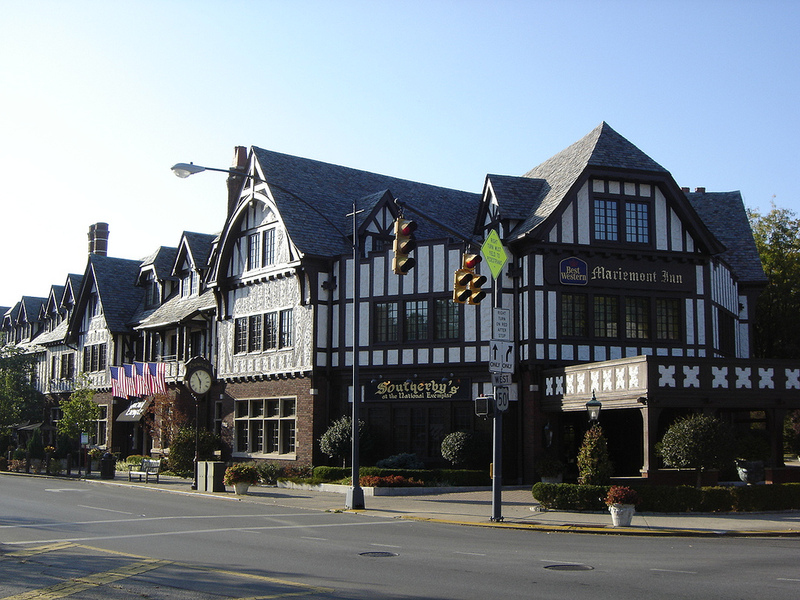 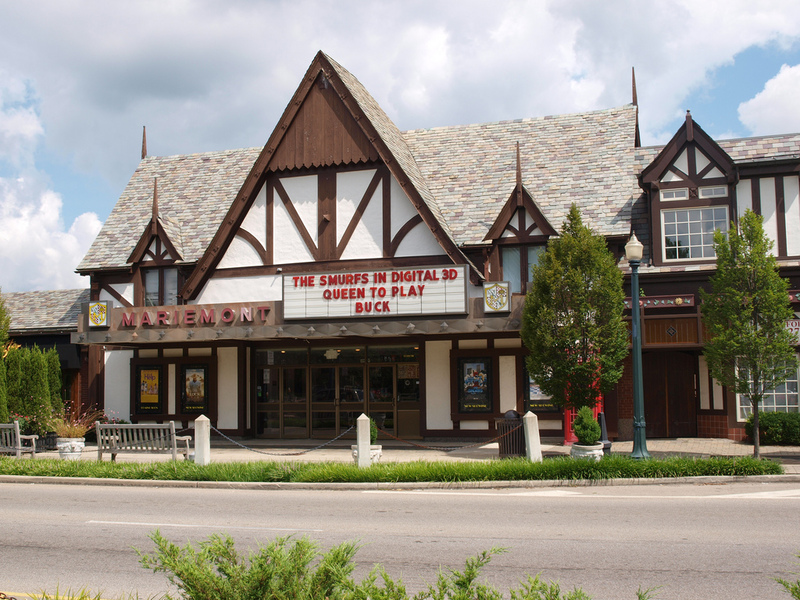 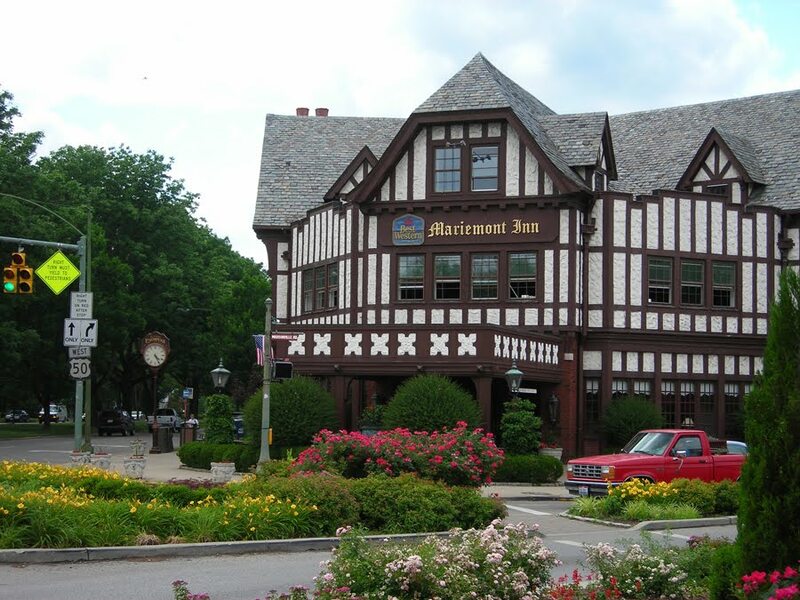 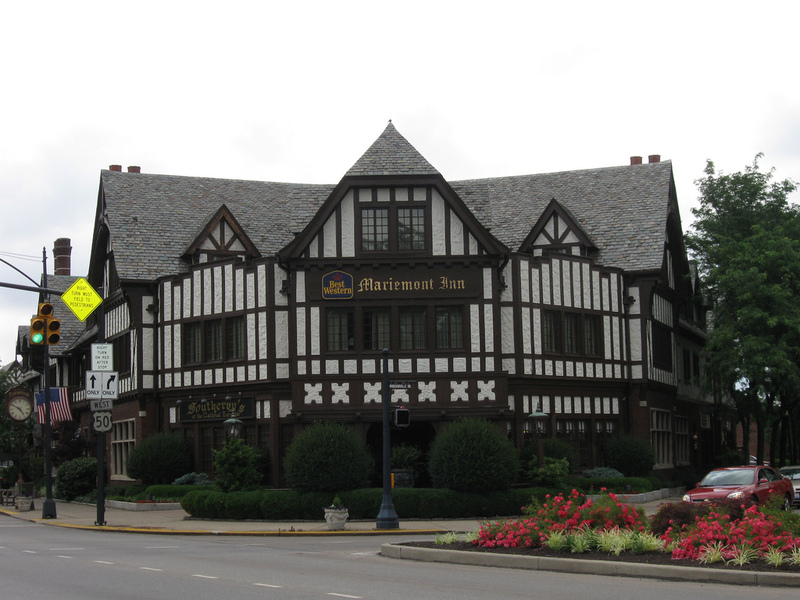 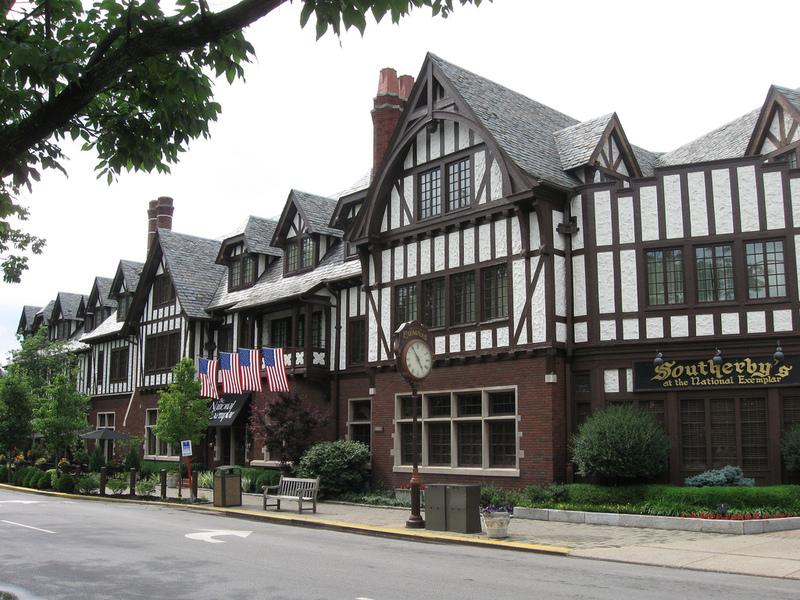 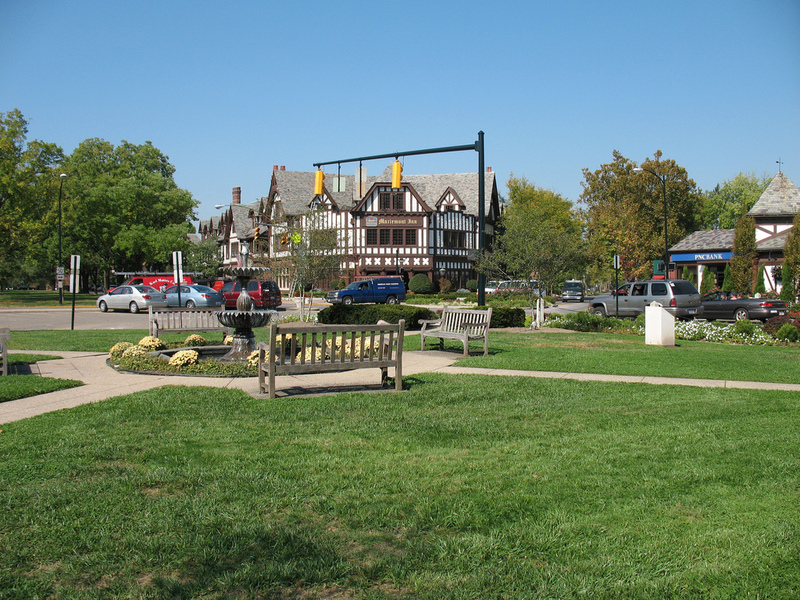 At the center of Mariemont is Mariemont Square with its fountain surrounded by a garden and benches and the tudor-style Mariemont Inn at one corner. 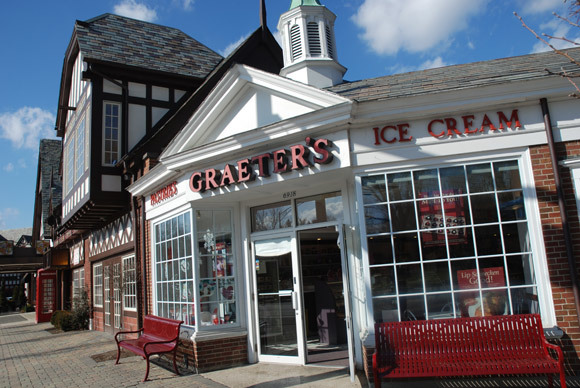 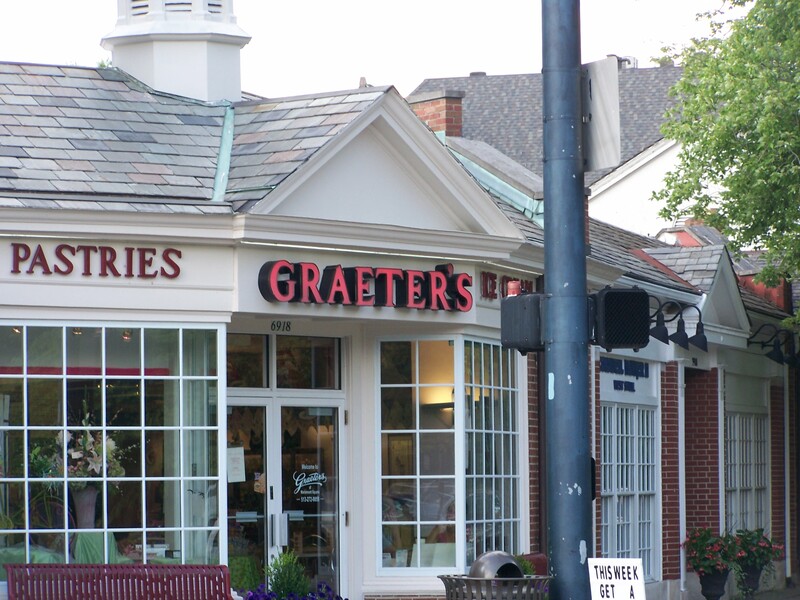 On another side of Mariemont Square is Graeter’s Ice, consistently rated as one of the best premium ice creams in the U.S. 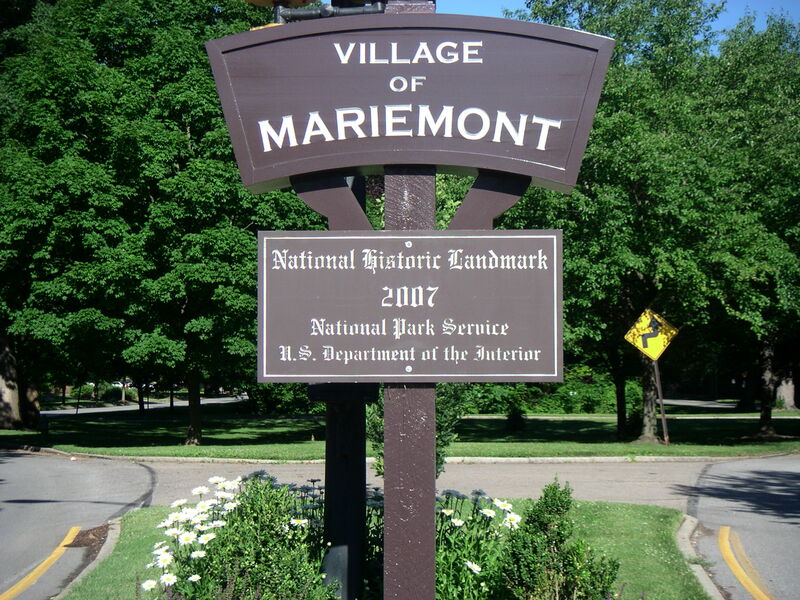 This is a popular teen and family gathering spot in Mariemont. 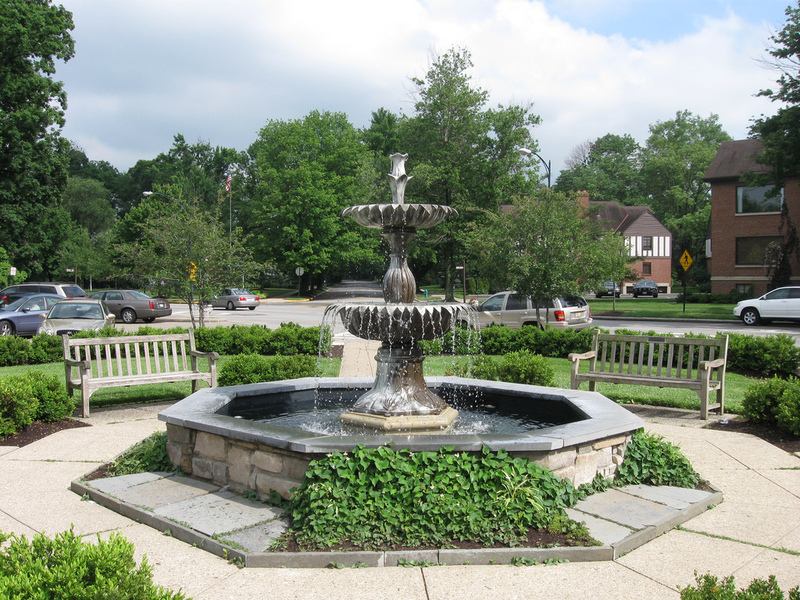 At the center of Mariemont Square is a fountain surrounded by gardens and benches for sitting. 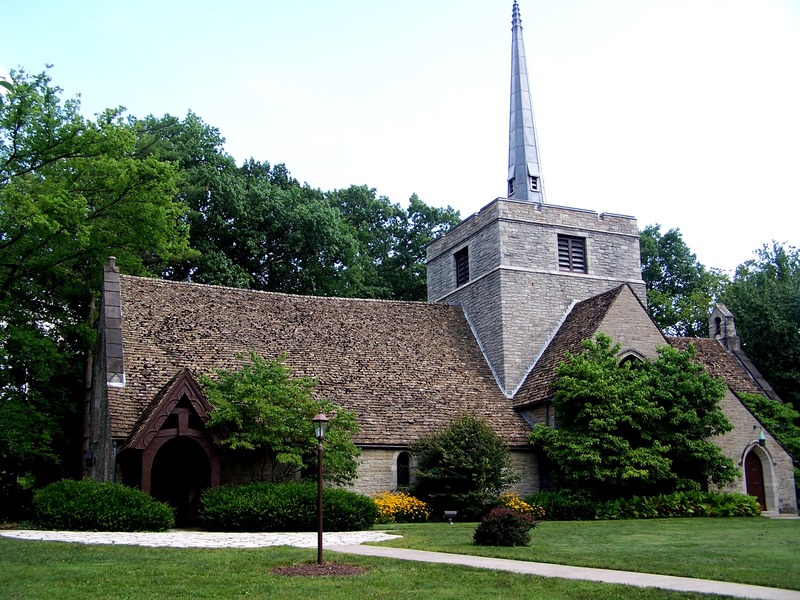 The Mariemont Community Church is a non-denominational church serving the entire community. 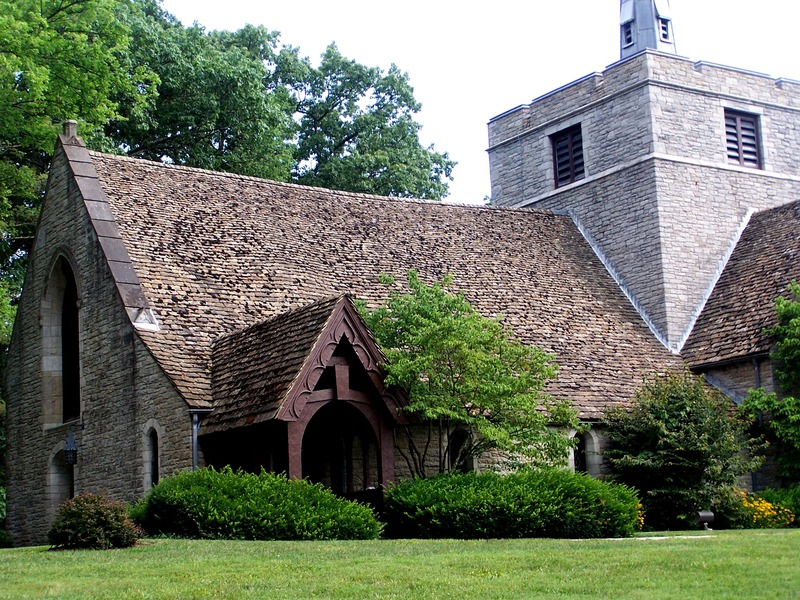 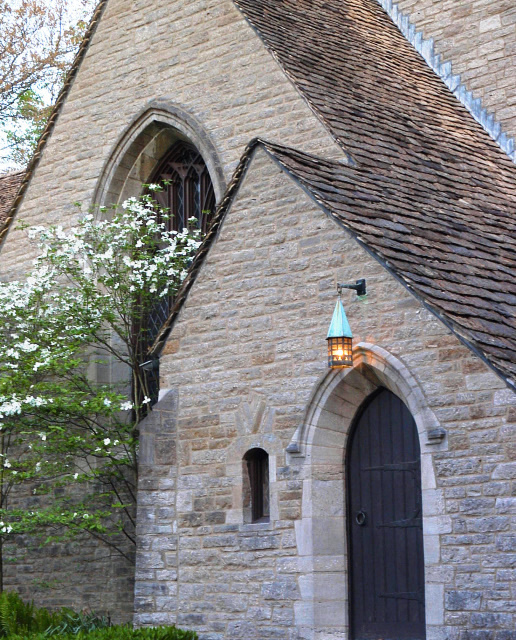 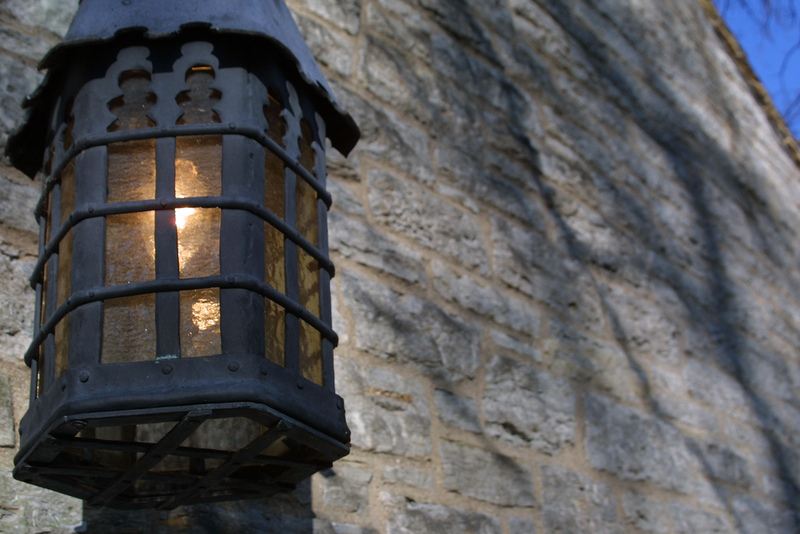 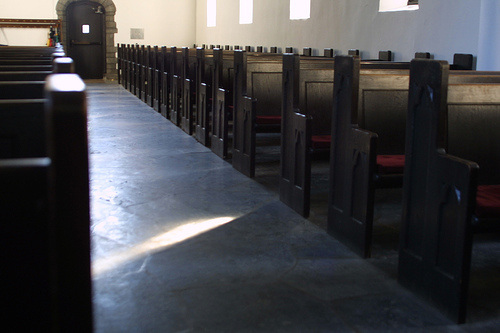 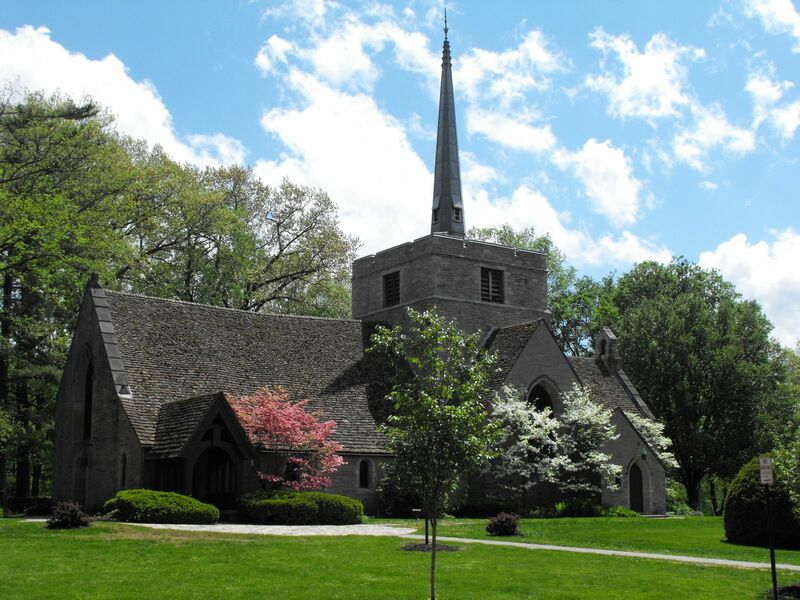 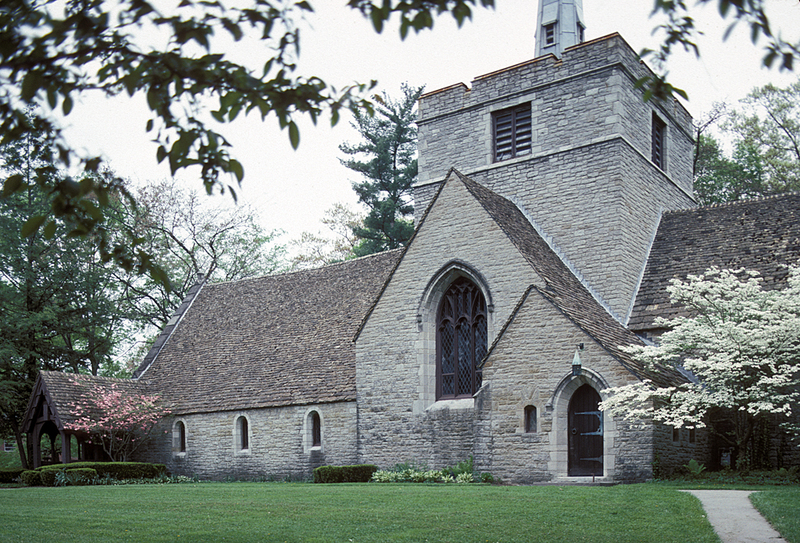 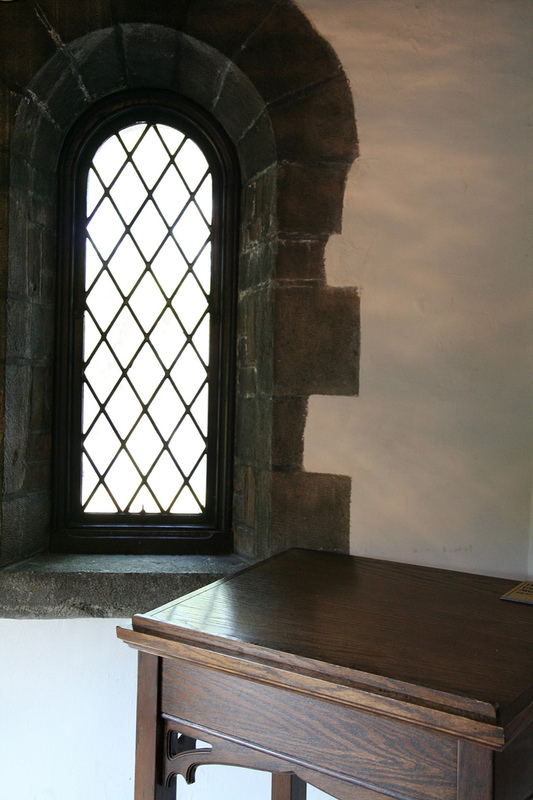 With its stone slate roof coming from a 12th century English tithe barn and its altar cross coming from an original beam of St. Peter’s Cathedral in Rome, technically the Mariemont Community Church is the oldest church in America. 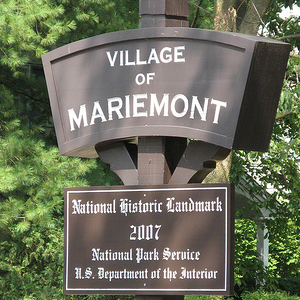 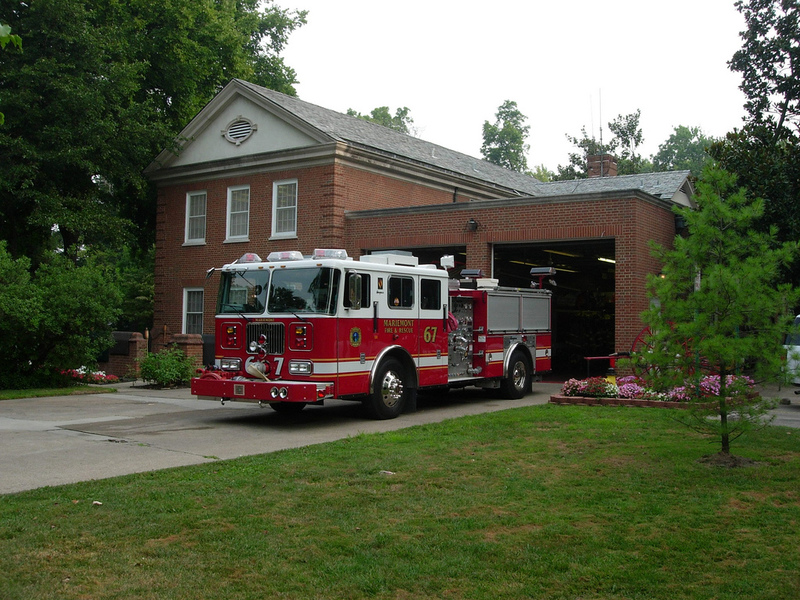 It was also the first building to be constructed in Mariemont. 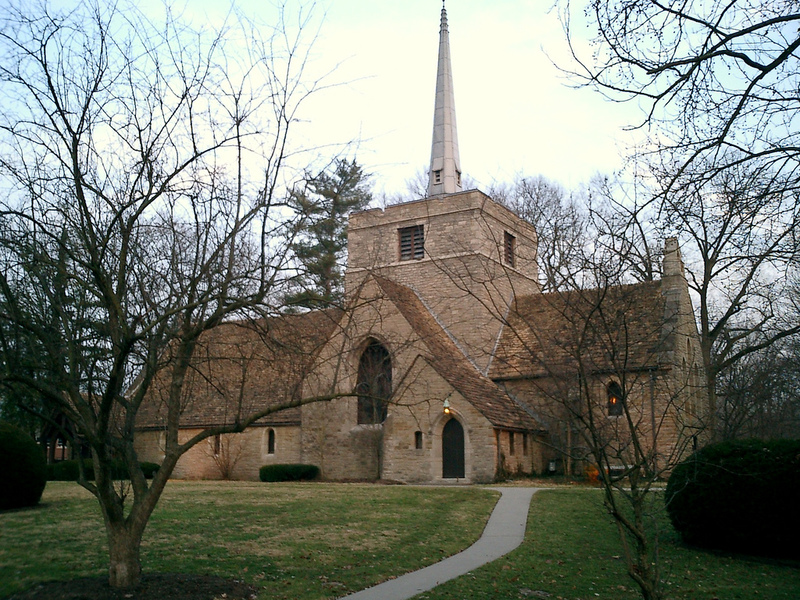 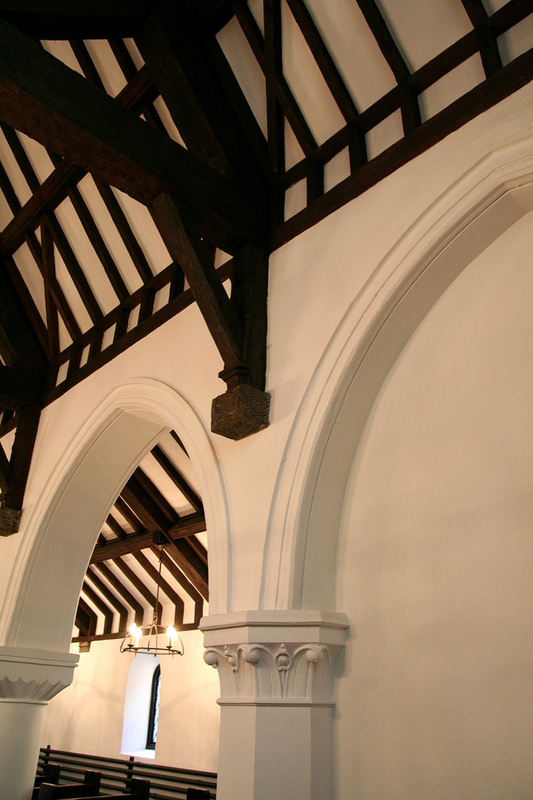 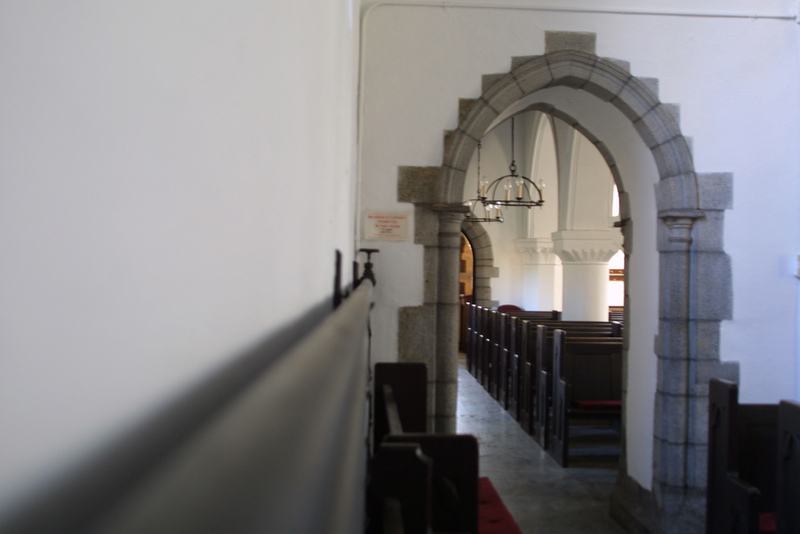 Designed by architect Louis E. Jallade, it is designed in the shape of a cross in the style of a pre-Norman Conquest English Anglo-Saxon parish church.